We have no time for winter skin. Even the thought of dry cheeks and red noses is making us want to book a holiday to anywhere remotely sunny stat. But luckily for all of us, there's a much cheaper way to get your skin feeling normal again. It is easy to underestimate the power of a truly good moisturiser, but in the winter months anything that provides rehydration to our thirst quenched cheeks becomes our new best friend. ​It can make the difference between a good day and an uncomfortable day where you can't stop thinking about how tight or painful the skin on your forehead feels. Eugh. Which is why, when shaking up your beauty regime from summer to winter, it's important to take a moment to consider what your skin actually needs from a product during this time. And there's not a single person who couldn't use a boost. In our winter moisturiser we trust. 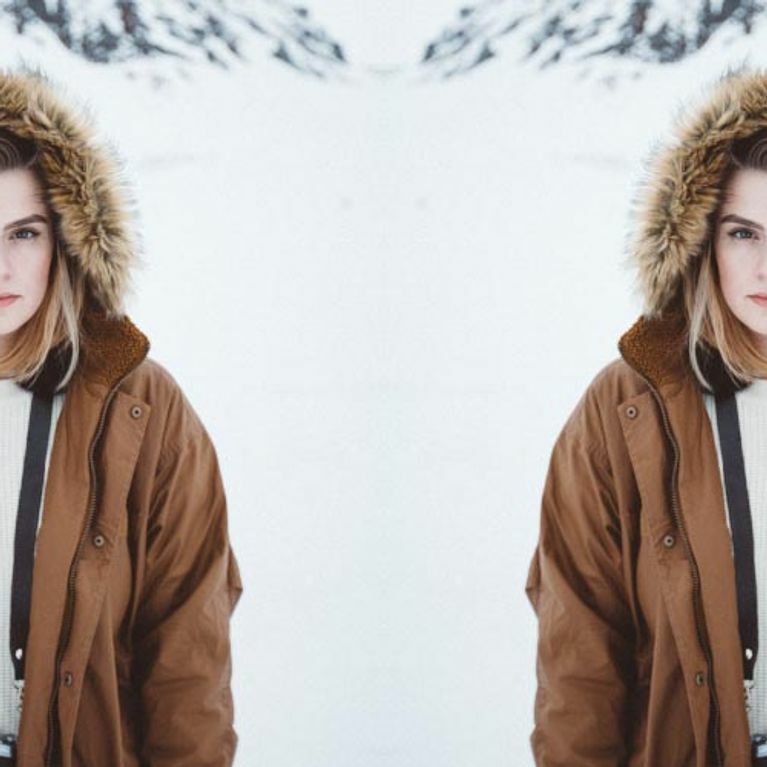 ​Check out some of our winter faves below. Cheap as chips and it does the job. E45 cream is perfect for every skin type. Every single skin type. Think of a skin type, think of your own skin type, and E45 is perfect for it. It's so intensely moisturising that E45 cream is often used by eczema sufferers to sooth their skin. It's super thick but non-greasy, so you won't be feeling the shine within a couple of hours. An easy and cheap way to keep your skin thirst-free this winter. The holy grail of skincare made its appearance fairly recently, but it's already a firm favourite in the makeup bag, handbag and bedside drawer of women everywhere. Despite being an oil, it's non-greasy, smells delicious and is great for removing makeup, soothing sunburn and - surprise surprise - moisturising the hell out of skin. All this and you can cook a stir fry with it? Madness. Kiehl's facial cream is notorious for being majorly moisturising, with a super lightweight texture that is absorbed into the skin quickly. It contains Squalance and Imperata Cylindrica, which sounds like just a bunch of letters thrown together to you and I, but really are all the ingredients that protect our precious cheeks from the harsh weather conditions that Britain is notorious for. Plus, MTV and musical goddess Laura Mvula have teamed up with Kiehl's for the Stayling Alive Foundation, meaning that for each one sold, Kiehl's will donate £10 to the foundation to support 3 projects around the world that will empower women. What more could you want - a soft face AND female empowerment. We'll take ten please! Liz Earle's Skin Repair Moisturiser is PERF for those with dry skin. It contains avocado oil (which we all know is good for skin) and borage oil (we know less about this oil tbh, but despite it's unappetising name it's hella moisturising) that'll leave your face looking so touchable, people might actually start touching it. Just warning you. Just because you're not out in the elements doesn't mean your skin doesn't need protecting, right? Your skin needs a whole night to replenish itself. Which is why Dr Jackson's (is he a real doctor? It doesn't matter!) face creams are the t*ts! - Night Skin Cream is a necessity for any night time beauty regime. It contains mango seed butter, kigelia fruit extract and frankincense tree resin, which, besides being good for your skin, smell so. Damn. Good. Seriously, you need this in your life, if not just to fall asleep to the smell of your own face. You may have heard of Egyptian Magic before - it's held in very high regard with those celeb types. It's been endorsed by ladies such as Eva Mendes, Lauren Conrad, Kate Bosworth, Rashida Jones and Brooke Shields. So you know it's good, because all those gals are just gorgeous. It has a multitude of purposes, from a great moisturiser to healing burns, to soothing burns and cuts and tattoo aftercare. It's insane how many purposes one pot of cream can have. But if it can do all that, you know your skin is in good hands. Sounds kinda weird I know, but goat milk is uh-mazing for skin. It contains a whole bunch of acids that do nothing but good, and the biologically-active milk polypeptides are responsible for the regenerative care that'll sooth your skin a treat if it's feeling a bit frazzled from those harsh British elements that we've come to know and hate. This looks a little strange, right? Instead of rubbing a cream into your skin, you simply use a pipette to squirt chia oil directly onto your face. But it totally works - the oil absorbs right into your skin and gets deep down in there to completely rehydrate your face, which is why it's great to squirt around those problem areas that get particularly dry in winter, like your nose or around your mouth. Give it a go - it looks weird, but feels great. Aurelia Night Cell Cream might only come in a small jar, but it is mighty. It smells kinda divine so the urge to smother your face in it is immense, but you only need a teeny tiny bit for your whole face, and the cream uses probiotic and peptide technologies to rehydrate your skin after a day battling the elements. If you just love looking delightfully dewy then this'll give you a Beyonce glow. And, and, it'll help prevent skin ageing, which lord knows we all hope and pray for a cream that keeps us looking youthful. We know that not everyone can afford to spend fifty quid on a cream for your face - not when there's shoes to buy and makeup to wear. But there are some great cheap alternatives to the Aurelias and Dr Jackson's of the world, and as all our mums will tell us, Olay is that alternative that you need. Their Instant Hydration Day Cream is a must-have for winter, with the word 'Instant' playing a major part in the cream's appeal. Another part of its appeal is the ocean botanical extract, which instantly makes us feel calm. Pop it in your handbag for when you're desperate for a moisture injection.